I am a compulsive plant rescuer. So I feel I must rescue the reputation of one of my most subtle coloured camellias, the misleadingly named 'Jury's Yellow'. 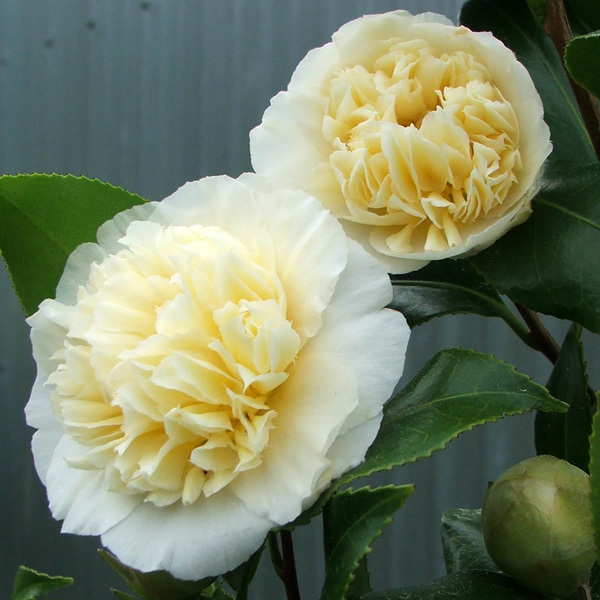 This Camellia is a rich beige colour, and it's beautiful. The trouble is that Jury's Yellow isn't yellow. It really never could have been yellow. But the name explains why it gets slightly sniffy write-ups. A naive gardener, expecting a brilliant daffodil sun-yellow bloom, would feel immensely let down. Being beige isn't particularly desirable, colourwise. 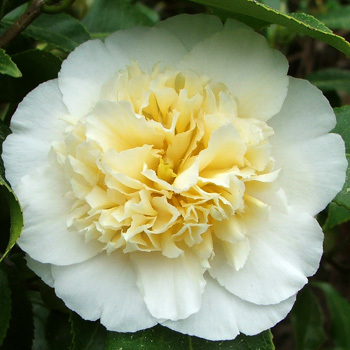 Jury's Yellow is a gorgeous Camellia - a beautifully rich, subtle, caramelly, creamy beige. Let's get my personal opinion phrase up there in the Google cosmos. Obviously lots of online nurseries selling Jury's Yellow say nice things about it - well, they would, wouldn't they? Thanks and credit to the online forum at gardenweb for the personal posts that got me all fired up. I hope it's been OK to quote you.